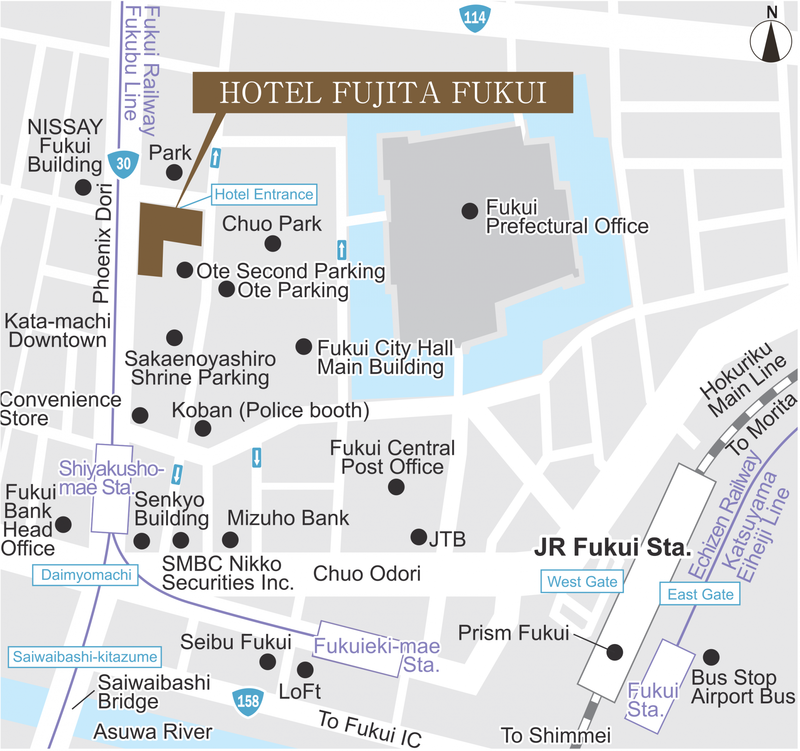 One of Fukui’s top hotels, Hotel Fujita Fukui offers all the services you’d expect in a more expensive hotel. A range of restaurants provide plenty of dining options. It is located close to office areas, shops, and entertainment, and only a short walk from the station. We are looking forward to seeing you in Fukui. A range of restaurants give plenty of dining options.